Imagine a Penthouse high over Honolulu, boasting a 1,060 sq. ft. private lanai and an amazing Kaka`ako location. Every day you wake in your beautifully-designed, spacious home to sweeping views from the Ko`olau mountains across the city to the ocean. You'll be at home with activities abounding - Blaisdell Concert Hall at your doorstep, Honolulu Club (Oahu's premier fitness club), Honolulu Museum of Art and you're just minutes from Downtown Honolulu. Be at the center of the Honolulu arts community and part of the thriving development of Kaka`ako. Host your friends on this huge lanai - Uber them over because they won't want to leave this spacious and inviting home! Pet friendly too! 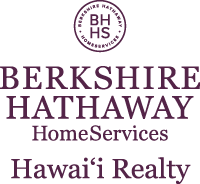 I am interested in 920 Ward Avenue UNIT PH 17DD, Honolulu, HI 96814. Sign up for Inside AccessTM to view recent sales near 920 Ward Avenue UNIT PH 17DD.